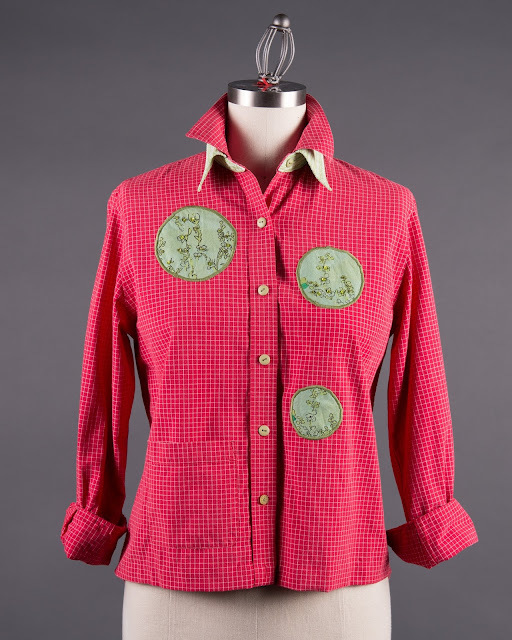 The Sandy Blouse is created (upcycled) from three dress shirts. 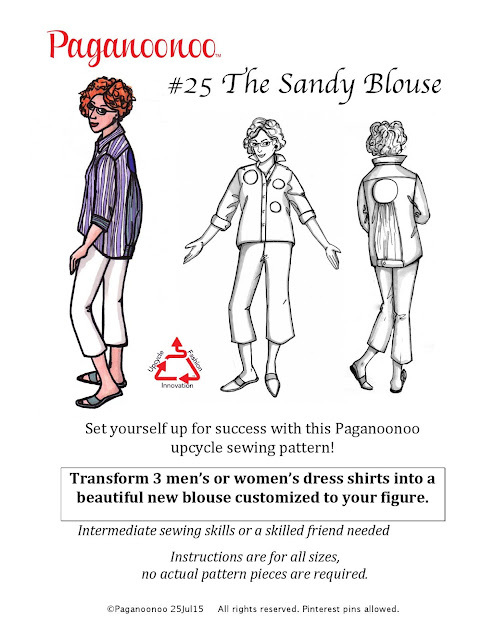 Set yourself up for success with this Paganoonoo upcycling pattern! we’ve worked out all the kinks for you. 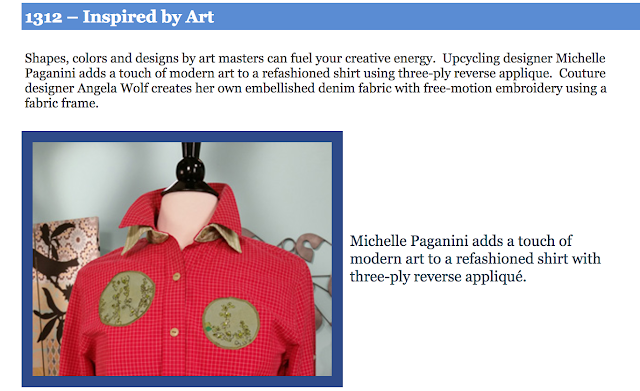 Episode 1312 covers how to add reverse applique to your upcycle for a design boost. 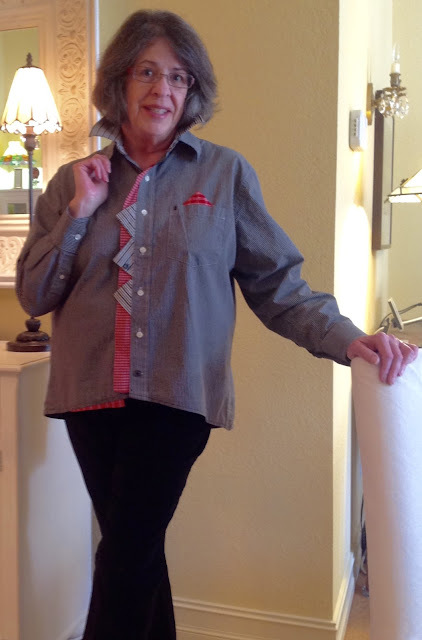 Angela Wolfe, fellow presenter, models a Paganoonoo Sandy Blouse. George has been in the studio, photographing garments again, Yeah George! !